A bushel,40 pounds, of Gala apples was purchased for $20.00. They will be processed into juice and this post is depicting doing the first 20 pounds. Fifteen liters of juice was obtained which includes 12 liters of water to make a drinkable texture. Each jar of juice contains about 1.3 pounds of apples about five. Each apple was wiped with wet cloth to remove any ‘cids residue. The stem was removed, and the apple was cut into quarters to facilitate cooking. 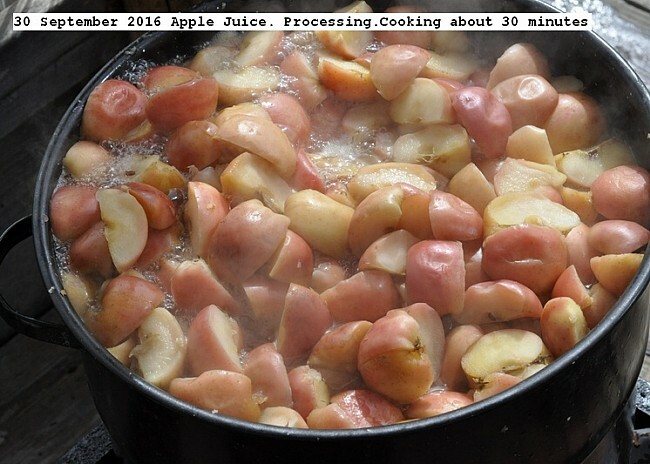 The apples were cooked until soft and blended into a slurry, which was strained in a food mill using a 2 mm mesh screen. The juice was then placed in liter jars and pressure canned at 15 PSI for 15 minutes. Picture depict the process. Processing the remainder of the bushel. Twenty one liters of juice was obtained. Pictures depict the process. 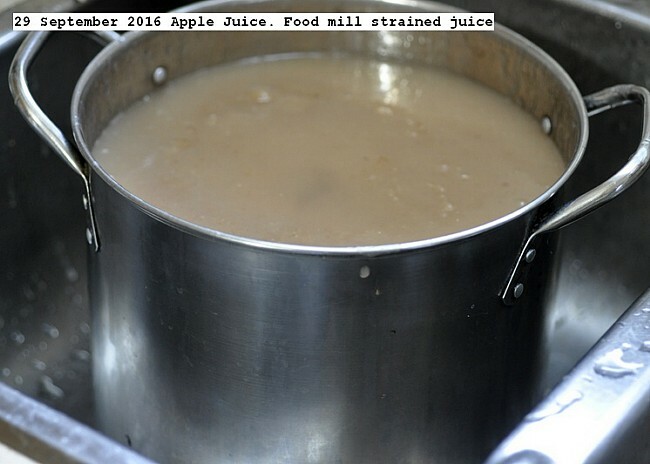 This entry was posted in Uncategorized and tagged 29 September 2016 Apple Juice, Apple Juice, Pressure canned apple juice. Bookmark the permalink.